Description Calculate dip angle and azimuth of maximum dip from a dip field. This process analyses a 3D dip field to generate two attributes: maximum dip angle, and azimuth of the maximum dip angle. The azimuth of maximum dip is measured in degrees clockwise from map north. For an input dip field in depth this angle is in degrees. For input in time, this is a psuedo angle calculated with the assumption that 1 millisecond (TWT) is 1 metre. 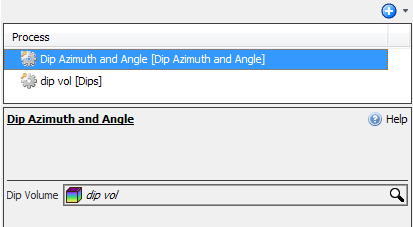 Select Dip Azimuth and Angle and type a name for the process. In the Details Panel, select an input DIP volume for the process (see Dips to create a dip volume). Perform an amplitude extraction onto a horizon using the dip azimuth and angle volume to extract (see Horizon Amplitude Extraction). 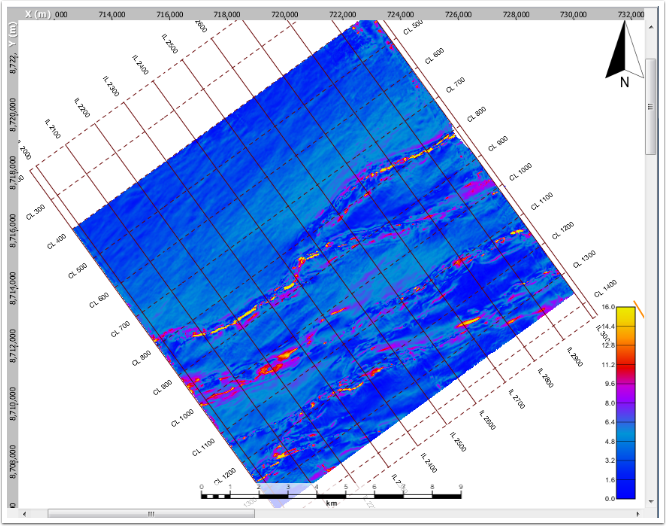 Select Amplitude as the horizon property. Example of Pseudo Maximum Dip Angle generated from Dip Field provided in Dip Azimuth and Angle process. Generated from TWT Full Stack volume, calculated by assuming that 1 millisecond (TWT) is 1 metre. This horizon is mainly dipping 0–4.8 degrees from the horizontal, with steeply faulted areas dipping from 9–16 degrees from the horizontal. Example: Azimuth of maximum dip, measured in degrees clockwise from map north. As you can see most of the horizon is dipping between 288–350 degrees. Whereas the suspected faults are clearly dipping between 180–100 degrees. 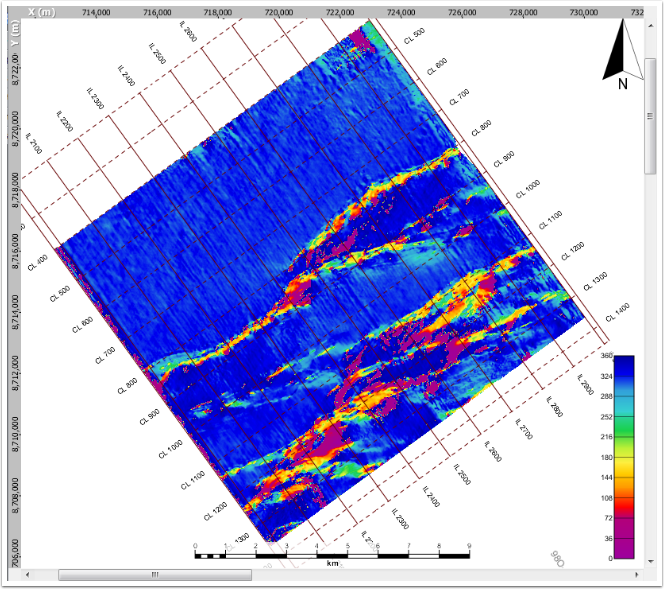 Faults are dipping SSE, opposite to the main NNW dipping horizon direction.